Walleye boats take a beating on big water. The Warrior hulls and decks are unequaled in strength and durability. 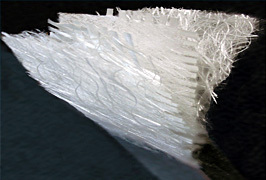 Unidirectional layers of Knytex® fiberglass are meticulously cross-layered and overlapped. No production short cuts! 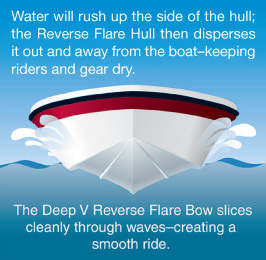 Adequate dry time is allowed between each layer of fiberglass for curing, which is crucial in providing maximum hull strength. The result is a strong and durable one-piece hull. To maintain the smoothest surface, Warrior uses Cook™ gel coat that has a high memory elasticity. Stringers are the foundation of the boat’s interior and provide additional hull strength and straightness. All Warriors feature a fiberglass stringer system. Stringers are bonded in place with a unique system of Knytex® fiberglass for added strength and to ensure a continuous straight bottom in the V-hull. width of the hull and incorporate the use of knee braces and unidirectional fiberglass, tying the transom into the sides of the hull. and livewell systems also enhances boat control. Hydraulic Steering for console models or Pro Tiller™ Hydraulic Remote Steering System for backtroller models gives nearly effortless control when navigating long distances or precisely trolling the structures. Nothing stays on fish like a Warrior. Note: We wish to thank our family members, Pro Staff members, and Warrior Boat owners for participating in our photo sessions.